Summer in Athens: The place to be! The weather can be scorchingly hot during the summer months in Athens with very high temperatures. This is worth bearing in mind when it comes to visiting ancient sites, especially if they are at a higher altitude with little shade, as the Acropolis is. So try to start your day early and visit these areas in the morning, not only will you be able to beat the crowds and the heat, you can be safely nestled at a Greek taverna by noon. If combining archaeology, mythology and gastronomy sounds like the ideal experience for you why not join us on our Acropolis Delights Tour? 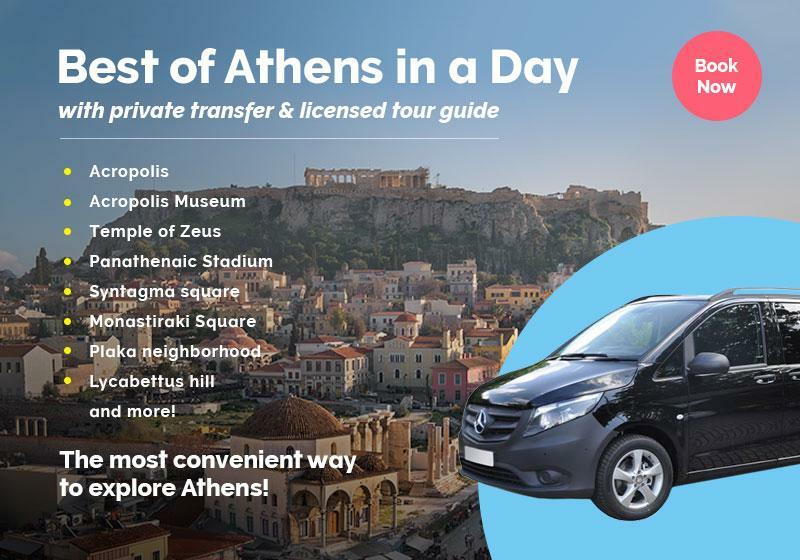 Led by one of our deeply knowledgeable guides you will explore the ancient rock and her temples before heading off to some of Athens' best eateries and delis to discover the very best of the city's cuisine. After a morning of sightseeing you may be longing to cool off and what better way than by heading to the Athens Riviera where there are a plethora of beaches for you to choose from. Just take the tram from Syntagma Square headed for Glyfada (marked VOULA) and hit the beach in less than 45 mins. We are aware that listening and understanding the Greek language is no easy task.But you don't have to worry about communication - most Greeks (especially the younger generation) speak English and will be more than happy to help you. If you are keen to try a few phrases you'll also find that locals delight in visitors making the effort to learn their language and therefore you will most likely be met with enthusiasm and encouragement- so don't be shy! Tip: Have a look at our Athens Airport guide, if you are arriving into Athens by plane. The city is truly wonderful by night with many of her key landmarks illuminated whilst the streets are full of busy cafes,restaurants and musicians. You can either go downtown or move to the southern part of the city, which is a better choice during the summer months if you'd like to be by the sea. If you decide on the center, Monastiraki Square is one of the most popular choices for people of all ages, as there are plenty of clubs, bars and restaurants. Most bars open around 10.00 PM but remember that here the night are long and it is perfectly normal for them to stay open until the last custmer leaves.Looking for a night out at the beach? Glyfada, a southern suburb of Athens, is a good choice with its mix of restaurants, cocktail beach bars and nightclubs. If you're less into nightclubs and more into just enjoying the streets of a city by night, our Night Crawlers Tourtakes you on a stroll through some of the prettiest parts of Athens ending with a mezedes dinner and wine, a choice for those who want to simply unwind at the end of the day. If you're more of a night owl and you'd like to know where locals go to find the best cocktail and wine barsour Athens Nocturnal Gems Touris designed to show you how locals like to spend the evening in town. With your local expert, friend and guide enjoy an evening of wine, spirits and cocktail tasting paired with charcuterie boards, street food and a walk through some of Athen's quirkiest spots. Last but certainly not least! Greece is famous for many things, among which food holds a prominent place.Souvlaki is the original Greek "fast food" but there is also so much more to discover.Eating in Athens is a real indulgence with a wealth of eateries, tavernas and restaurants to choose from. Whether you are seeking out a traditional, authentic taverna or you're more into contemporary fusion cuisine Athens is not short on culinary options. Many restaurants are also located on rooftops and therefore boast unbeatable views of the city. Our advice is to do your resarch before choosing where to eat as, unfortunately, there are also many "tourist-traps", most of which are downtown. Alternatively, let us take the stress out of choosing and join us on one of our culinary experiences that will show you the bestplaces to eat in Athens. We constantly check and try out new and old places, picking only establishments that we ourselves would frequent and being an independent enterprise we are under no obligation to favour one eatery over another. So when we say local discovery...we truly mean it! For those of you who like to get stuck in, in a kicthen, rather than only order from it, we have created our very own Greek cooking lesson! Led by a talented and professional chef you will head to the Central Market to pick your own fresh produce and then create a delicious meal. Learn the 'tricks of the trade' to making delicious Greek food, with a glass of wine in hand of course!